Critical mass is a celebration of alternative means of transport. It’s not about blocking traffic or breaking traffic laws or fighting with motorists. It is a peaceful assertion of a cyclist’s right to the road. It is also an effort to inspire more people into cycling. The sense of freedom and joy that this simple machine brings is incredible and should be shared and multiplied. 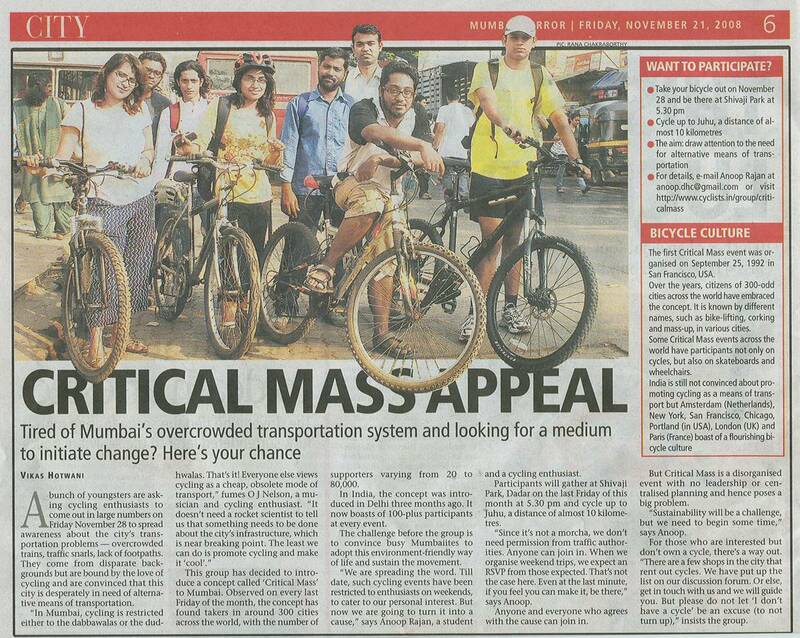 Critical mass is a small initiative to give back power to the people. Whether it is environmental issues, social issues or cyclist’s rights, the small act of riding together says that we matter and cannot be taken for granted. No more anger and frustration about the way things are. No more waiting for some one else to fix your problems. No more feeling helpless n saying what can we do. Enough of being passive bystanders. 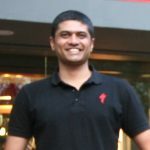 Start small, take charge! Ride free! 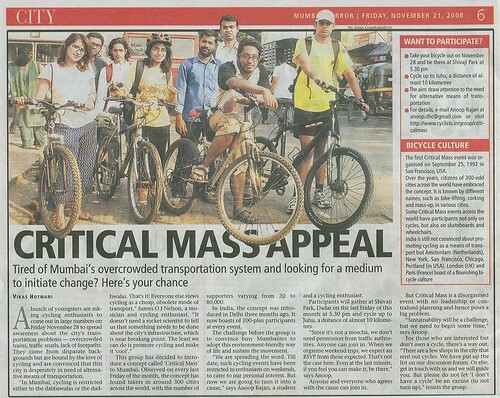 Come join the Mumbai CRITICAL MASS Ride. Exercise your rights. Ride free!!! Ending point: Juhu (Andheri) Mumbai. Ride distance approximately 10 kms.